Okay, so your sales operation has gone digital. You’ve embraced multi-channel sales and Internet sourcing. Your sales team is social media savvy and armed with mobile devices. Now it’s time to bring your sales incentive plan into the 21st century. You might have already started the planning process. But before you jump in, you may want to consider some fundamental principles that will be key to your success in today’s digital marketplace. A lot of sales managers believe their sales incentive plans are solid and don’t need upgrading. But this couldn’t be further from the truth. The digital economy has transformed literally every aspect of the traditional sales operation. So your reliable, standby sales incentive program is just not going to work in today’s world. You’re going to need to establish an entirely new approach. And you’ll need some crucial guidelines to follow. In a recent article, Sales Power Magazine describes ten basic strategies for designing a sales incentive plan for today’s digital economy. I think they are extremely sound principles to follow when planning a new incentive plan. geography. Your direct sales team may be segmented by regional managers, salespeople, support personnel, marketers, customer service, etc. Each of these personas may have a different role in the sales process. Channel sales may have a different composition altogether, and incentives may need to be modified for unique segments. Give participants what they want. Create compelling rewards for participants based on their interests and preferences. People value choice in all aspects of their lives, and incentives and rewards should be no different. Test your program before launching. In general, testing before launching will give you an opportunity to fine tune all aspects of the program before a broader rollout. Keep it simple by streamlining administration. You should minimize paperwork, shorten the approval process, and make it easy to deliver rewards that recipients can easily redeem. Drive engagement with a good communications strategy. Make sure you have a comprehensive communications strategy to generate awareness and drive participation. Set KPIs for goals and rewarding. Performance indicators should address a broad spectrum of behaviors including social media contacts, lead follow-up, identifying new opportunities, and relationship building. The idea is that, if you encourage the right behaviors at critical steps in the sales process, you will benefit from more sales when those behaviors increase. Continually monitor program performance. You want to make sure you’re dispersing the right value and right type of rewards and that recipient preferences aren’t changing. Keep your program fresh and relevant. Your business objectives and goals are likely evaluated and adjusted annually. Incentive programs should be treated no differently. Expire points. Incentive programs should expire earned points within a specified period of time. Unused points or rewards can linger in your financial statements and impact your bookkeeping. To learn how to align sales incentive plan objectives with your corporate mission, click here to download our whitepaper that will guide you through the basic steps of creating a Sales Incentives plan. 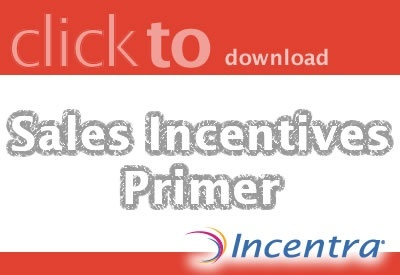 Creating a new sales incentive plan can be a daunting task. You’ll need an extraordinarily robust technology platform and a team of experts to navigate you through all the plan complexities. We’re right on deck. Give us a call today.